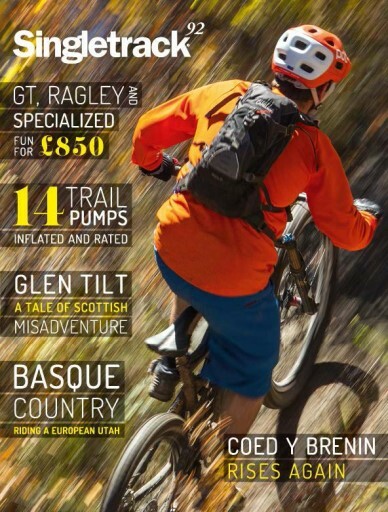 Like an unstoppable force of nature the next issue of the magazine is already here – and it’s a rip-roaring roller coaster ride through everything that’s great about bikes and riding them in the nip-in-the-air, leaf-crunching, mid-ride-blackberry-snacks autumn. We visit Chile on the coattails of the EWS for an early dose of golden foliage, and the Basque Country for a spot of ‘how hot is too hot?’ Utah-in-Europe. Our Singletrack Hero is commentator and team manager extraordinaire Dan Jarvis, the grouptest takes on 14 trail pumps and our ‘Fun for £850!’ bike test gets the miles in on three bikes, from GT, Ragley and Specialized that still leave you with enough change from a grand to buy yourself a nice pair of socks. Plus there’s the usual offering of delicious photography, columnular mirth and the finest test products ground to a finely-tilthed pulp. How can you resist!